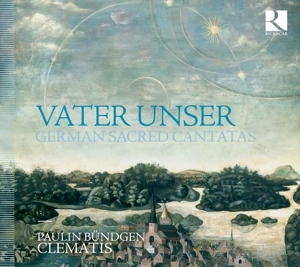 Countertenor Paulin Bündgen sings with the ensembles Doulce Mémoire, Akadêmia, Clématis, le Concert de l'Hostel-Dieu, Vox Luminis, Elyma, le Concert Spirituel, les Traversées Baroques... in Europe (France, UK, Germany, Polland, Italy, Austria, Portugal, Belgium, Monaco, Croatia, Lativa, Switzerland, Czech Republic, Spain, Sweden, the Netherlands...), Russia, Middle-West (Morocco, Turquey, Israël), USA (Miami) and Asia (Taïwan). He has sang in prestigious festivals: Ambronay, Beaune, Utrecht, Innsbruck, la Chaise-Dieu, the Flanders festival, Vézelay... He founded his own group in 1999, l'ensemble Céladon, whom with he regularly sings in France and abroad. ​In opera, Paulin Bündgen has sung the parts of Pastore in Monteverdi's Orfeo, Mercurio in Landi's La Morte d'Orfeo, Cirilla in Cavalli's Gli Amori di Dafne e Appollo, Endimione in Cavalli's la Calisto, Ottone in l’Incoronazione di Poppea by Monteverdi, in the prestigious Opera Houses of Versailles, le Châtelet, la Cité de la Musique, Metz's Arsenal, Rennes, Massy, Royal Opera House in Namur, Grand Théâtre de Reims, Teatro Arriaga in Bilbao, London's English National Opera. He has sang under the direction of conductors Gabriel Garrido, Paul Agnew, Jean Tubéry, Jérôme Corréas, Leonardo Garcia-Alarcón, Françoise Lasserre, Hervé Niquet, and has been staged by Christophe Rauck, Alain Perroux, Pierre-Alain Four. ​His curiosity drove him to sing in Sidi Larbi Cherkaoui's dance-show Mea Culpa, with Turkish musician Kudsi Erguner or beside folk singer Kyrie Kristmanson. He is also very keen on contemporary music and has performed works (including first performances) by Jacopo Baboni-Schilingi, Pierre-Adrien Charpy, Régis Campo, Pierre Bartholomée... He worked in close collaboration with the composer Jean-Philippe Goude and recorded the album Aux Solitudes with him. He also is the author of the album of electronic music Étrange Septembre, published in 2007. 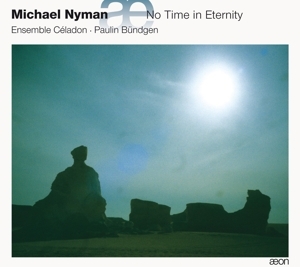 The world famous composer Michael Nyman wrote for him and l'ensemble Céladon in 2016. He recorded more than thirty CDs, covering a wide repertoire going from medieval songs to contemporary music.